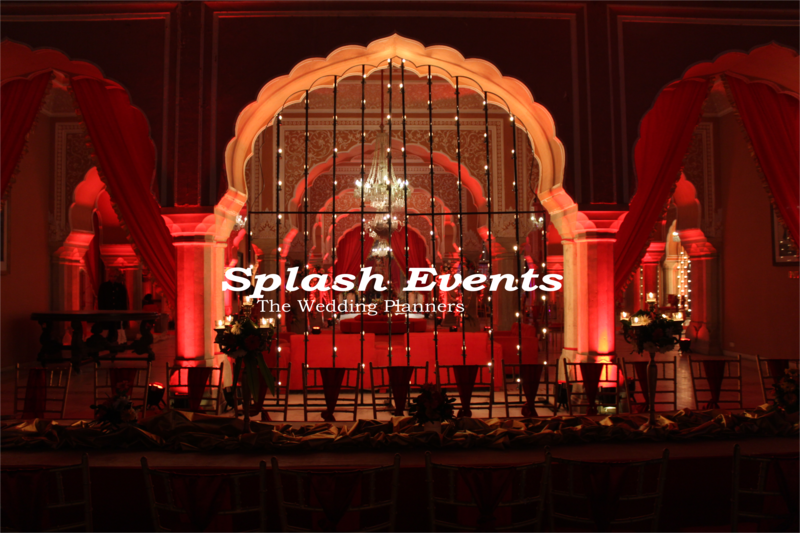 In this blog we will talk about the wedding venues in palaces of Jaipur-these are parts of the palaces like forts, personal gardens, courtyards of the royal families which are given for wedding venues. All these parts of the palaces in Jaipur are of historical importance and since two decades only, they are being rented out for wedding venues. These places do not provide stay options for the guests, but there grandiose is out of the common and provide such grandeur to your wedding that you could have only dreamt of. Jaigarh Fort is one such wedding venue in Jaipur. Jaigarh Fort was built to protect the Amber fort, residence of ruler of Amber, now known as Jaipur, Maharaja Sawai Jai Singh .Jaigarh Fort has a- museum, charbagh that is the royal 4 gardens, jaivana cannon also called Jaibaan tope. Located in forest area, Jaigarh is enveloped by green mountains. Now you know why you should consider this place as your wedding venue. Just to apprise you, famous jewellers of Jaipur, Surana’s also got one of their family wedding here, which had guests from all over the world, one of the renowned guest was Mukesh Ambani. Kanak Vrindavan is another wedding venue in the vicinity of the Amber Palace. This was also built by Maharaja Sawai Jai Singh of Jaipur, almost 300 years back. It was private garden of the King and is named after one of his queen Kanak, and Vrindavan word was added to it as the looks of the place are same as that of Vrindavan garden in Mathura, where Lord Krishna had performed his maha-raas. Kanak Vrindavan is surrounded by Aravali hills, and has series of gardens inside the main garden with lots of fountains. The place has arc shaped stone umbrellas, providing the guests stage for the couple. There is also a Radha Mandir, which is usually used as phera area, and the feeling is unbelievable. It provides complete spiritual happiness to the couple and guests. Sisodiya Rani ka bagh was also a garden built by Maharaja Sawai Jai Singh for one of his queens. The garden has innumerable fountains, has like 2 layers of garden, almost like a ground floor garden and first floor garden. On the first floor or you can say the top garden has a double storied palace built with Rajput and Mughal era. The complete surrounding of this place give a beautiful fairy tale wedding look. Another very popular wedding venue and part of the palace’s courtyard is City Palace. This palace is located right in the heart of the city .It was built by Sawai Jai Singh-II around 1730.The palace still is residence of the royal family. One of the courtyards of the palace is given for the wedding venue. This courtyard is surrounded by fort like walls. The big silver urns placed here are used as decoration props. The courtyard also has big baradari with age old chandeliers, this area used is for baraati’s where they are welcomed by the bride side. There is also Mubarak mahal, which is used as entry for the guests and in weddings it is used as toran dawar. The wedding decor makes the place look beautifully royal. Do visit these venues, before you finalize your wedding venue and we promise you will love them. You can book these venues for your wedding and a separate hotel In Jaipur for your guest. Booking a separate hotel and a wedding venue in one of these palaces will make your wedding cost effective and what else, yours will be a perfect royal destination wedding in Jaipur.